Roasters Guild Forum • 2016 Roasters Guild Elections Now Open for Voting! 2016 Roasters Guild Elections Now Open for Voting! Listed below are the nominees for the 2016 election cycle. Each position on the council serves a two-year term. Please review each nominee profile carefully and prepare to vote. There are four (4) open seats on the Executive Council for 2016. Bill’s introduction into coffee was almost accidental. Especially, since before working at Caribou, Bill was not much of a coffee drinker. What began just as a routine employment search has evolved into a lifelong passion for coffee, and all of its nuances. In 1997 Bill began working with Caribou in the packaging department. His inquisitive nature and interest in every part of the process developing the final product was noticed and rewarded with his first roasting team position, green coffee blending. Caribou did 90% of their blending by hand at the time, and almost every bag weighed more than Bill. Ok they still weigh more than Bill. Bill’s continued dedication to product quality has led him to his current role as a Roast Technician. Today the majority of Bill’s responsibilities are centered on roasting and product QC. Nolan Dutton is the head roaster and green buyer for Ozo Coffee Roasters. Nolan has a constant pursuit of knowledge and the sharing of ideas as a driving force behind everything he does. Believing we are here for community and growth, he roasts to highlight the hard work of the farmers who produce the coffee we all share and love. He currently teaches classes at SCAA Expo and RG Retreat, and is the chair of the Roasters Guild Education Committee. 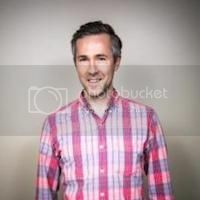 Drew Billups began his coffee career production roasting on Toper and Probat machines for nearly a decade before transitioning to the importing side of the business. As lab manager for Seattle-based Atlas Coffee Importers, he roasts a multitude of tiny batches on a vintage 5-barrel Probat and relentlessly cups coffee. Drew leads the educational program at Atlas' SCAA certified lab where he regularly teaches SCAA classes, including roaster and coffee taster pathway classes. In addition, Drew is a Q instructor and serves as chair of the Coffee Taster Pathway Committee for the SCAA. With over 23 years working in the coffee industry, Anne is an Australian roaster who has gained experience in many areas of the coffee industry - as Barista, Café Owner/Manager, National Barista Trainer & Assessor, to Head Roaster & Roasting Production Manager at both national and international levels.Anne has also competed in, won and judged Regional and National Barista, Brewers, Cup Tasting and Roasting competitions in both Australia (ASCA) and the USA (NERBC, USBC & RG). After completing the Q Graders Certification, Anne gained valuable industry experience working in the USA for 4 years as Head Roaster for the Specialty Division of Dallis Bros Coffee, in New York City and also judged as a member of the International Jury for the very first Naturals Cup of Excellence in Brazil. Upon returning to Melbourne, Australia, Anne was Head Roaster at Proud Mary Coffee and Axil Coffee Roasters. She also took on the role as Head Judge for the Golden Bean Roasting Competition - the largest roasting competition in the southern hemisphere - which averages 1000 entries each year - now also being held in Portland - and a competition that she herself has won twice!! Anne's prolific coffee career has allowed her to develop extensive roasting skills and knowledge with a wide range of roasting equipment/machines (from large Commercial roasters to small Specialty roasters), various roasting techniques and industry relevant processes and protocols. Now working independently, Anne continues to impart her vast knowledge and specialty roasting skills consulting and training roasters with her consulting company Equilibrium Master Roasters. Since 1993, Dani has been involved within the coffee industry as a knowledgeable coffee roaster, QC specialist, barista, retail marketer / merchandiser, operations director, brand developer, educator, production manager, community builder, and positive communicator. He has successfully developed several coffee brands and continues to support the community at large to succeed with their projects. 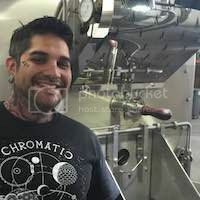 Currently, Dani is The Director of Operations at Bay Area CoRoasters (CoRo) in which he is directly involved with the ongoing development of the shared coffee roasting and QC lab space. He also consults within all aspects of the coffee industry and works toward building a community that supports each other. Rob Hoos is an independent coffee roasting consultant as well as the director of coffee for Nossa Familia Coffee. He is also the author of the book "Modulating the Flavor Profile of Coffee: One Roaster's Manifesto." Rob feels lucky because coffee was a passion of his first, and now he is fortunate enough to work at something he loves every day. He is a SCAA Specialized Lead Instructor for Roaster Level 1 & 2 as well as a member of the RG Education Committee. He also serves as a subject matter expert for the SCAA. 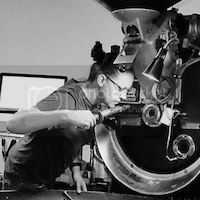 Caitlin is Quality Control Specialist for Atlantic Specialty Coffee in the San Francisco Bay Area. She's been a Roaster's Guild member since 2009 and loves to support the greater coffee community. She's volunteered in various capacities for US Brewer's Cup Competition, Cup Taster's Competition, SCAA Sustainability Council, Good Food Awards and Cup of Excellence. She began working in coffee as a barista for Peet's Coffee & Tea and later accepted a role at the Home Office. She dreamt of roasting and worked on the production floor in order to get closer to the magic until she landed at Equator Coffees & Teas where her coffee roasting dreams became fully realized. At Equator she was involved with roast profiling, buying, education and marketing. 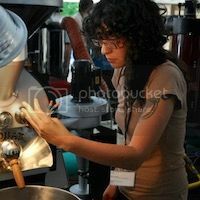 Caitlin loves connecting with other roasters, sharing information and contributing to the roasting community. 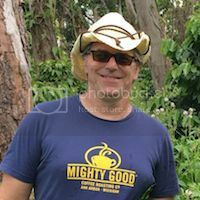 David Myers, Mighty Good Coffee Roasting Co.
David grew up in a home with a Chemex and fresh beans were used when Chock full o’ Nuts and Sanka were all the rage. 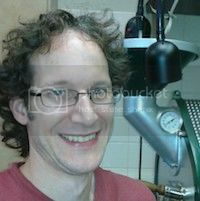 Ten years ago, he ventured in to specialty coffee when he happened upon a Diedrich IR-12 that was for sale along with several bags of beans. He's been hooked ever since, going from a part-time roaster delivering coffee door to door to operating several cafes and a wholesale business. 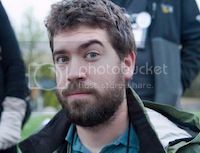 Along the way, he has been volunteering at Roasters Guild Retreat, Barista Camp, and SCAA Expo as a Lead and Station Instructor, and has served on the Roasters Guild Education Committee for the past two years. David has been fortunate to travel to origin and meet some of the people that grow the coffee he roasts and he's made many great friends in the coffee community. He recently traded in his Diedrich for a Loring, but often has the most fun trying new machines in the roasting tent at the Retreat. 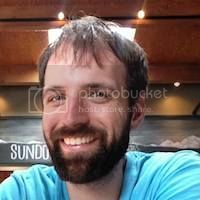 He's especially interested in connecting with and engaging newer members in the Guild and growing and diversifying the membership. And he will make it a point to make sure his parents still get a weekly shipment of fresh coffee.